It seems like the rally of the greenback has ended. On Monday, the US dollar index closed below $93.50. Tuesday’s attempts to recover are not successful. The index is below $93.40. No important economic data will be released today. As a result, risks of the further fall exist. The euro managed to recover after a weekly drop. EUR/USD is moving to the pivot point at 1.1840. 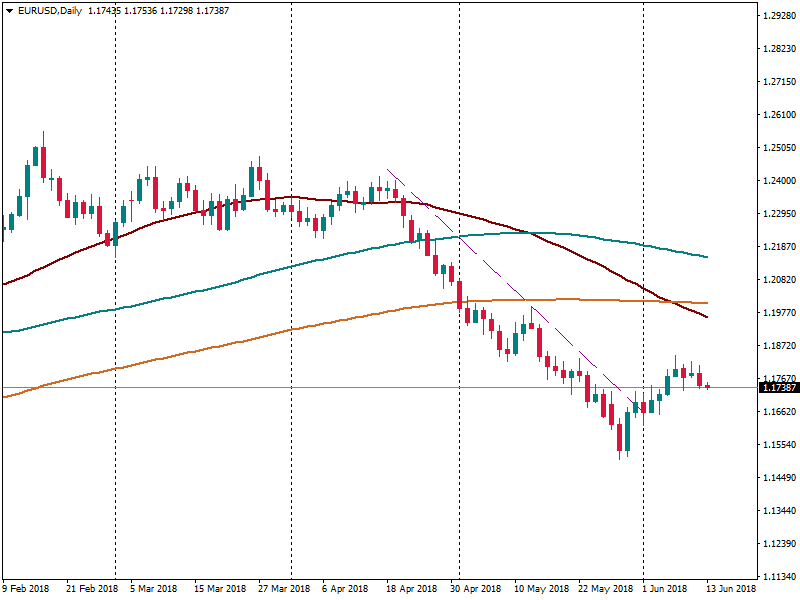 No notable data will be released on Tuesday, however, a further decline of the US dollar will let the single currency to close above the pivot point. On Wednesday, a lot of significant data for the euro will be released. Forecasts are not encouraging, however, if the actual data are greater than the forecast ones, the euro will have chances to stick above 1.1840. Tuesday is full of events for the pound. The next round of the Brexit talks starts today. Inflation Report Hearings will be released at 12:00 MT time. Whether events will be encouraging, the GBP/USD pair will be able to continue its bullish movement. Up to now, the pair managed to rebound from the support at 1.34 and is moving to the pivot point at 1.35. If Brexit deal meets a deadlock again, there are risks of the GBP’s return to 1.34. Oil is at good levels amid tensions around Venezuela. The US imposed new sanctions on the country after a re-election victory of Venezuelan president Mr. Maduro. Penalties bar US companies or citizens from buying debt or accounts receivable from the Venezuelan government. Moreover, analysts forecast a further decline in American stockpiles. Brent is near $80 again, WTI is above $72.70. For WTI it is the highest level since the end of November 2014. Brent has already tested levels above $80 but couldn’t stick there. Let’s see how strong the factors are for the further oil’s rise. A significant rise of oil highly supports the Canadian dollar. 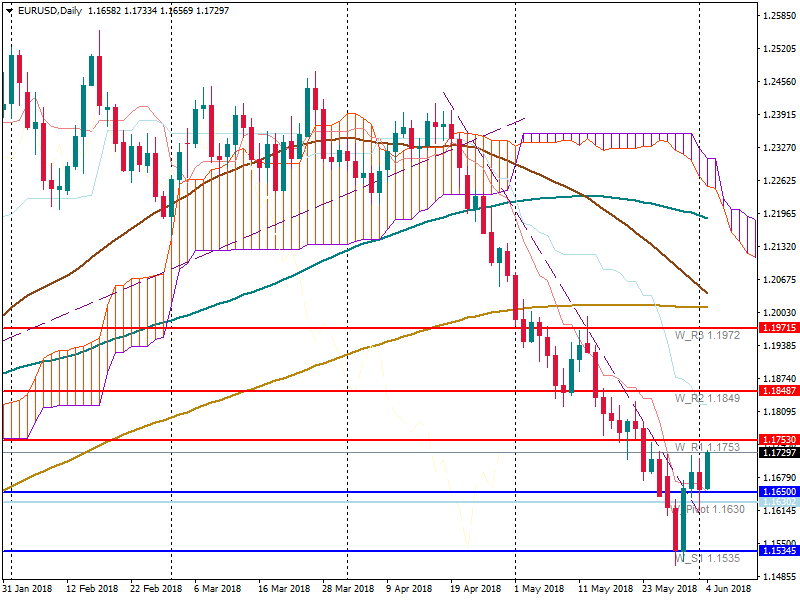 On Monday, USD/CAD broke below two important levels: 1.2850 and 1.2825 (50-day MA). Tuesday is a good day for the loonie as well. The USD/CAD pair has broken the support at 1.2780. No important data are anticipated to be released during this week. The loonie can only rely on the weak greenback and strong oil. Otherwise, it will return to levels above 1.2780. On Monday, USD/JPY tested the highest level since the end of January - 111.40. However, the pair didn’t gain a foothold and plunged. USD/JPY is near 61.8 Fibo level. If the pair breaks below this level, the further fall to 110.35 can be anticipated. A forecast of Tom Lee, head of research and strategy at Fundstrat Global Advisors, failed. According to the analyst, Bitcoin was supposed to rise up to $15,000 after the conference Consensus 2018. The digital currency continues trading within $7,700-$8,700. Up to now, Bitcoin is trading around $8,200. The 50-day MA is putting pressure on the cryptocurrency. A significant trading is not anticipated; Bitcoin will continue to trade within the $7,700-$8,700 range. As a new user I can’t put all the pictures I wanted so I apologize for that. The US dollar is falling. On Wednesday, the greenback managed to test levels above $94, however, didn’t stick there and closed at $93.90. On Thursday, the US dollar index is climbing down. The reason is a Wednesday’s meeting of the Fed. According to the report, the central bank is not going to hurry to increase the pace of rate hikes. The market already anticipates 2 additional rate hikes this year. That’s why investors need clues on a bigger number of rate hikes. The US dollar index is trading near $93.80. There was a big fall of the euro yesterday as economic data appeared to be weaker than expected. Up to now, EUR/USD managed to recover and is trading near the resistance at 1.1720. The European Central Bank will release its report of the most recent meeting today at 14:30 MT time. If the central bank is hawkish, the euro will have chances to rise further. Otherwise, no important economic data and events will be out today. So there is a risk that EUR/USD will not be able to break the resistance at 1.1720. A new round of Brexit negotiations will end today, however, some headlines have already affected the pound. There are talks that Theresa May is going to ask the EU to prolong the transition period to 2023 (up to date, the period has to end at the end of 2020). On Wednesday, the UK currency closed below the pivot point support at 1.3350. However, comments on Brexit deal managed to encourage GBP, so, GBP/USD is trying to break above 1.3350. More positive news on the Brexit deal will support the further movement above 1.3350. Moreover, traders should pay attention to retail sales’ data at 11:30 MT time. The forecast is encouraging. If the actual data is greater than the forecast one, the pound will get an additional support. The last but not least, the BOE governor Mr. Carney is giving two speeches today (11:00 MT time and 20:00 MT time). Whether the governor sounds hawkish, the pound will rise. More positive news for the yen. The risk-off sentiment is increasing as North Korea officials suggested reconsidering the summit with the US. Moreover, US president Mr. Trump announced a possibility of new tariffs. The US Commerce is initiating an investigation into auto imports. The USD/JPY pair is near the support at 109.70. Yesterday the pair couldn’t break this level, however, a weaker US dollar and the risk-off sentiment are putting pressure on the pair again. However, if we look at the weekly chart, we can see that the pair at a strong support: the pivot point support, 50.0 Fibo level, and 100-week MA. It means that a chance of the further fall to 108.50 is not high. A risk of a pullback to 110.35 is more likely. The Canadian dollar is continuing to fall. The first reason is an oil’s depreciation. The second reason is a Canadian government’s ban on a takeover of construction firm Aecon Group Inc. by a unit of China Communications Construction Co. USD/CAD broke the resistance at 1.2825 and tested the next resistance at 1.2850. 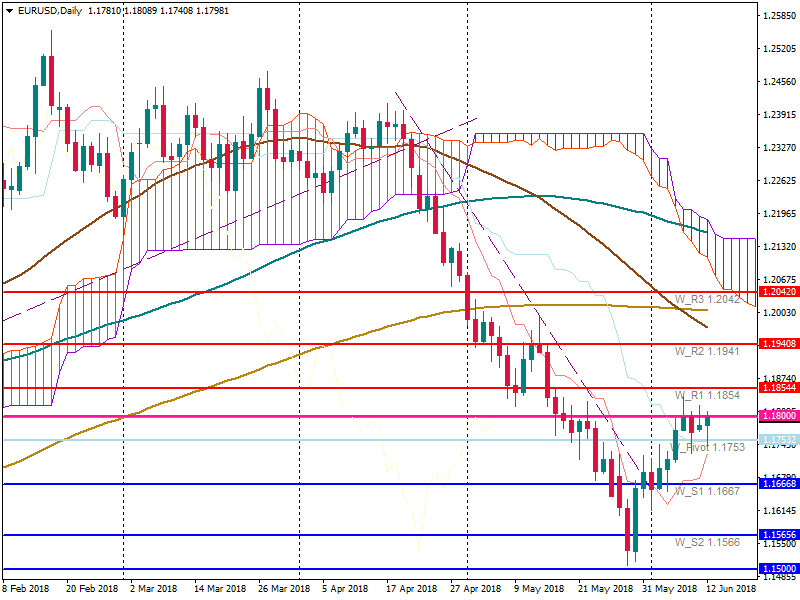 Whether the pair is able to close above 1.2850, there is a possibility of the further rise to 1.2950. However, the greenback’s depreciation may slow down the further rise. So the pair will stay within 1.2825-1.2850. It’s a bank holiday in the US. As a result, no important data will be released. The US dollar index is falling. It has declined to $93.90 from the Friday’s high of $94.20. The next line of support is at $93.50. Tomorrow traders will take into consideration CB Consumer Confidence. If data is higher than anticipated, the greenback will have chances to rebound. The euro is in the environment of uncertainties. On the on hand, the Eurosceptic finance minister was rejected, on the other hand, it’s unclear what will happen to Italy. EUR/USD has tested the pivot point at 1.17, however, didn’t stay above the level and declined. The trading is still bullish, however, it’s not extensive. If EUR/USD is able to close above the pivot point, there is a chance of the further rise. However, the trendline is an additional resistance for the pair. Tomorrow traders should pay attention to M3 Money Supply’s data. If it is greater than the forecast one, the euro will be supported. However, if the US dollar manages to recover tomorrow, the euro will turn around. The US dollar index is above $94.50. 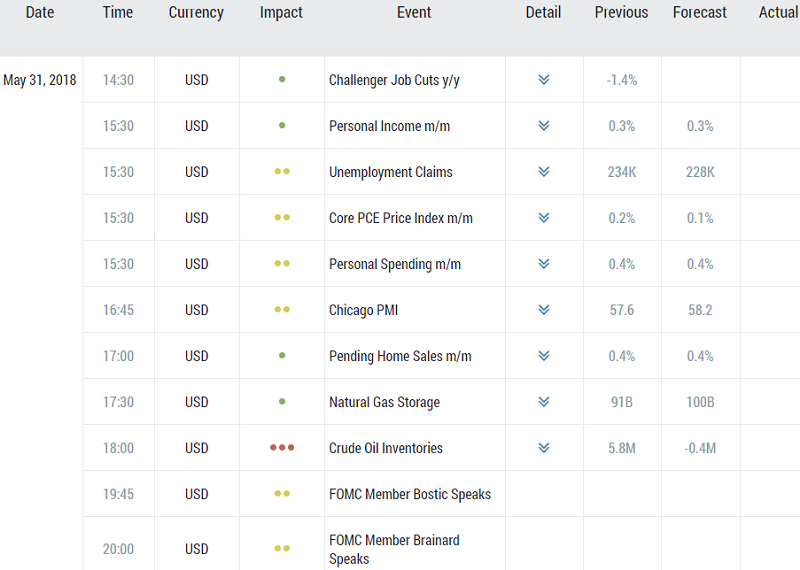 Today traders will pay attention to consumer confidence data (17:00 MT time). The forecast is weaker than the previous data. However, if the actual one will be greater than the forecast, the US dollar will be able to rise further. The resistance is at $95. The euro is continuing to fall on Italian uncertainties. New election, forming of a “neutral” government, a possibility of impeachment of Italian president are still in the arena. Moreover, today’s economic data weren’t highly encouraging. Money supply data was at the same level of 3.9% as expected, private loans fell (2.9% vs 3.2%). 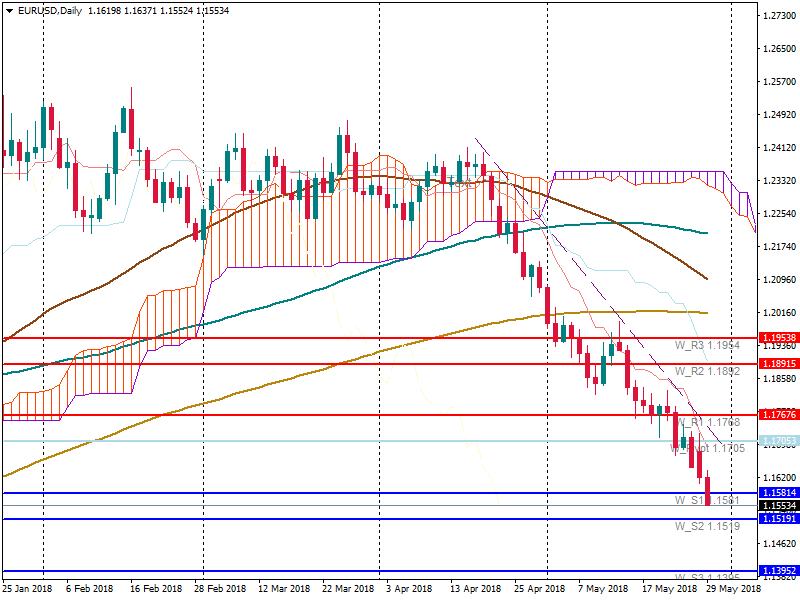 EUR/USD broke the support at 1.1580 and moving further. The next aim of bears is 1.1520. The US dollar index is falling again. It has tested levels below $94. No important data will be released today. The support lies at $93.70. 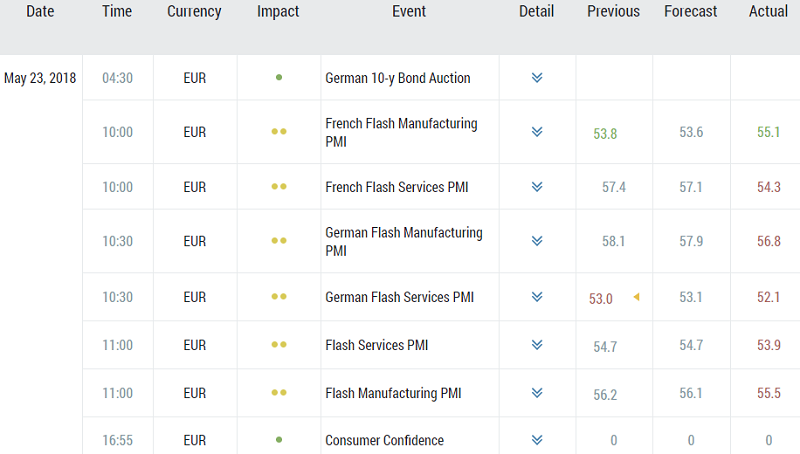 The EU economic data aren’t encouraging today. However, the euro managed to rise because of the US dollar’s weakness. 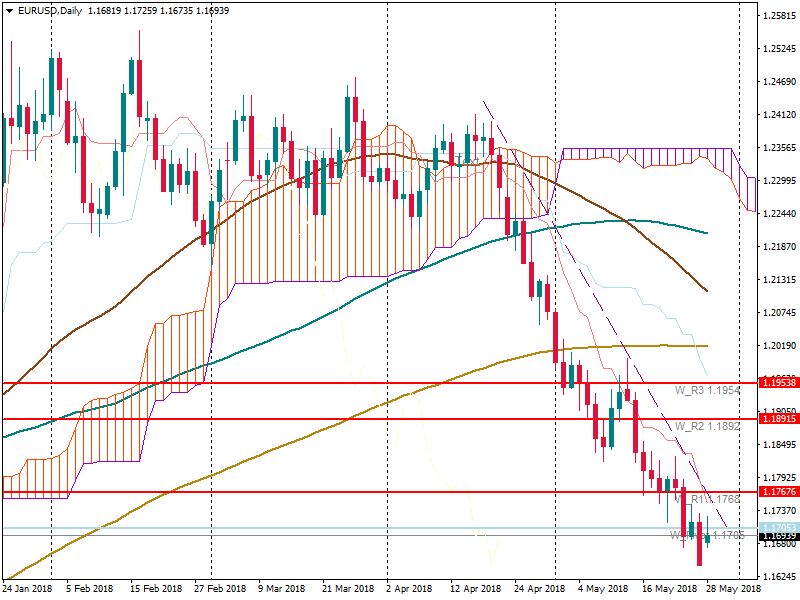 EUR/USD rebounded from the support at 1.1650. Up to now, the pair is moving to the resistance at 1.1750 (100-hour MA). 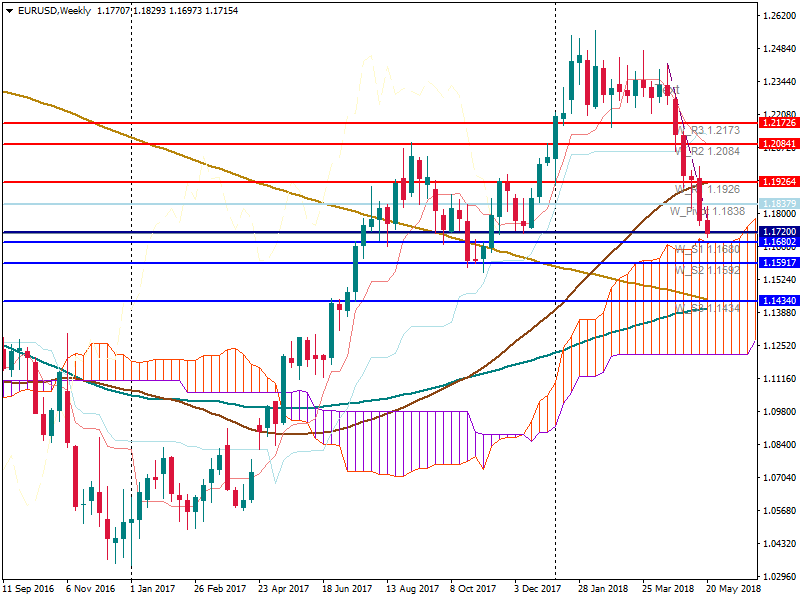 The further fall of the greenback will let the pair close above the resistance. Otherwise, the pair will trade within 1.1650-1.1750. Tomorrow a lot of economic data will be released. If they are encouraging, the euro will have chances to continue the upward movement. On Friday, at the start of the trading session, American stock indices demonstrated a moderate dive in anticipation of the gathering of leaders of G7 countries. As a result, the American stock market has concluded the trading week in positive territory. As a matter of fact, the Dow Jones Industrial Average index inched down by 0.18% and came up with an outcome of 25196.56. Besides this, Standard & Poor’s 500 slumped by 0.16% reaching 2765.91. 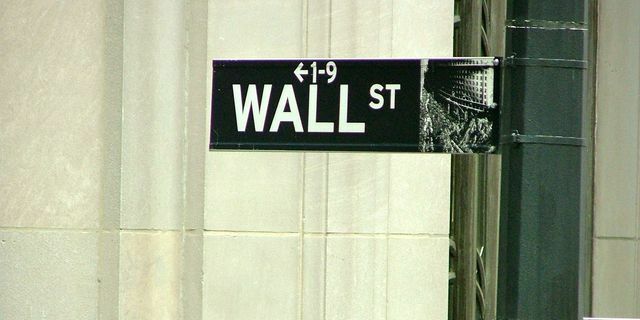 Nasdaq Composite dipped by 0.35% amounting to 7608.62. Equities of Apple Inc declined by 1.8% following the NikkeiAsian Review news that Apple’s orders for the assembly of the fresh iPhone that the tech giant is anticipated to roll out in September, will turn to be 20% lower than in 2017. Previously, the publication informed that in September 2018, Apple is about to introduce three fresh models of the iPhone, and two of which are going to come with costly screens with organic light-emitting diode technology. Another new model is supposed to feature a more economical LCD-screen, employed in the line of iPhone 8. The stocks of the manufacturer of Broadcom microchip headed south by 3.1% right after the publication of the news after the market concluded the day before. In addition to this, the equities of DocuSign startup, which develops electronic signature technology as well as digital transaction management, went up 2.3% because of strong quarterly financial indicators. Capitalization of Verizon Communications Inc, which appears to be the second-largest American telephone operator, headed south 0.8%. The tech-giant announced the appointment of technology director Hans Westberg as the fresh CEO. On this post he’s going to replace retiring Lowell McAdam, heading the company since 2011. The tension between America and the rest of the long-awaited summit is tacking on, as the participants are still unable to come to compromise on international trade. On Monday, the Taiwan stock market declined in the face of negative dynamics of the country’s sectors, including the textile industry as well as the hotel business. Taiwan Weighted headed south by 0.06% on the Taiwan Stock Exchange. The top-notch performers amidst the components of the Taiwan Weighted Index were the equities of Loop Telecommunication International Inc that rallied by 10.00% ending up with 25.85. The stocks of Sigurd Microelectronics Corp slumped by 10.00% being worth 41.25. Moreover, Paper Airmate Cayman International Co Ltd managed to ascend by 10.00% demonstrating a result of 22.55. On the contrary, top losers were represented by the equities of Alchip Technologies Ltd that headed south by about 8.48% concluding the trading session at 151.00. AS for the stocks of Sun Race Sturmey-Archer Inc, they ascended by 6.87%, showing 44.05. Lead Data Inc went down 6.72% trading at 7.49. The total number of depreciated securities on the Taiwan Stock Exchange (435) surpassed the number of those, which concluded up (375). At the same time quotations of 101 stocks didn’t change. The equities of Loop Telecommunication International Inc. managed to ascend to its maximum, adding approximately 10.00% being worth 25.85. Additionally, the equities of Sigurd Microelectronics Corp soared to their historic peak, adding 10.00% coming up with a reading of 41.25. Meanwhile, in the commodity market July delivery WTI futures went down by 0.32% hitting $65.53 per barrel. As for August delivery gold futures, they went down by 0.07% demonstrating an outcome of $1.301.80 a troy ounce. In addition to this, in the foreign exchange market the currency pair USD/TWD tumbled by 0.16% ending up with 29.802. The currency pair TWD/CNY managed to ascend by 0.33% hitting 0.2154. Besides this, the futures on the USD index went down by 0.13% hitting 93.43. China’s major financial institution has been heavily distracted by the immediate soar in borrowing costs after the American Federal Reserve System, while Chinese economic data for May disclosed that the economy of the leading Asian country is losing momentum. In May, in this Asian country industrial output tacked on by up to 6.8% in contrast with 2017, as the National Bureau of Statistics revealed. It turned out to be lower than the previous reading of 7% as well as experts’ estimate of 6.9%. Additionally, the bureau informed that in May retail sales went up by only 8.5%, although market experts had hoped for a 9.6% leap after a soar of 9.4% in April. Investments in fixed assets rallied by 6.1% in May in contrast with the same period of 2017, which is also lower than the estimate of market experts as well as the previous reading of 7%. Evidently, it appeared to be the slowest surge since 1999. In May, the unemployment rate in urban areas went down to about 4.8% versus April’s reading of 4.9%. With a steep slowdown in lending surge as well as the threat of an escalating trade dispute with America, China’s enterprises are coming across increasingly quite prospects. The country’s major bank made an attempt to back surge by ramping up liquidity and although it can still lift the Fed’s rate for market experts, the very fact that it didn’t do so right now is interpreted as an indication of concern about the Chinese economy. The data is 100% confirmed by a slowdown in industry as well as retail trade in May that points to a slowdown in GDP for the second quarter. 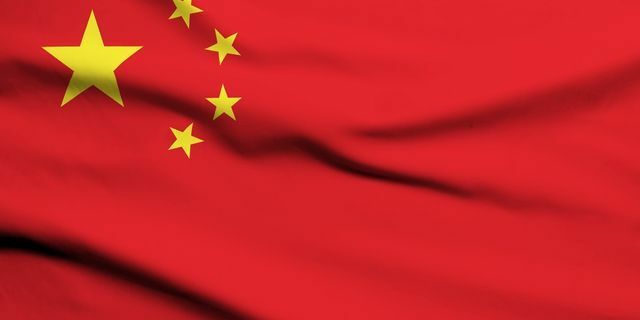 China’s attempting to provide liquidity for the purpose of mitigating any economic downturn and assisting lenders in meeting their repayment obligations. 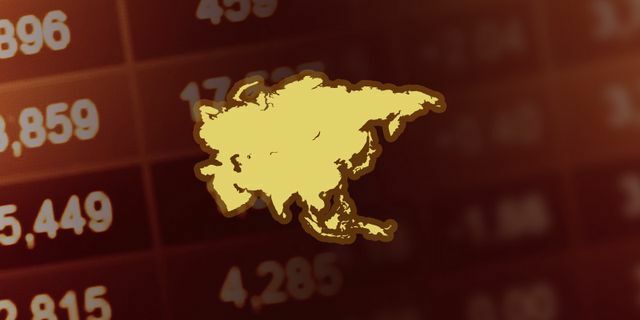 On Friday, Asia-Pacific equities demonstrated different directions amid worries of trade wars. It’s due to the fact American leader Donald Trump approved duties on Chinese goods worth nearly $50 billion. Previously, the Chinese government told that it would adequately respond in case of new tariffs from the US. 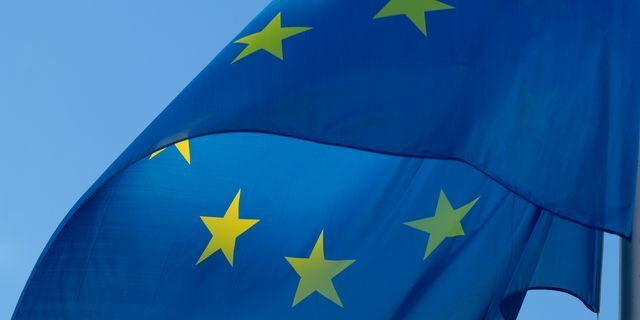 The common currency went down abruptly yesterday after the ECB uncovered its plans to stop its program of purchasing bonds and pledged to keep interest rates for about a year. Japan’s currency went down a bit after it became known that Japan’s key bank, based on the outcomes of the two-day gathering, left the deposit rate intact at -0.1%, while the target yield level of 10-year bonds was left at 0%. Additionally, the major bank still intends to purchase government bonds at an annual rate of about Y80 trillion. The Australian market keeps ascending mostly due to upbeat signals from Wall Street as well as higher commodity prices. As for the banking sphere, Westpac, National Australia Bank, Commonwealth Bank and ANZ Banking managed to ascend in the range 0.6%-1.3%. Besides this, Rio Tinto went up by nearly 1%. As for BHP Billiton, it gained 0.5%, Fortescue Metals edged up by 0.1% backed by leaping iron ore.
BHP Billiton reported it’s on the verge of spending $3.9 billion for the purpose of developing its majority stake in South Flank, thus generating over 600 permanent jobs. Besides this, the gold digger Evolution Mining ramped up its capitalization by over 1%, Newcrest Mining gained more than 2% right after gold got to its monthly maximum. The Japanese market demonstrated good profits due to upbeat replies from Wall Street as well as a weaker Japanese yen. Among the key exporters, the equities of Canon rallied by 0.2%, Panasonic soared by 0.3%, while Mitsubishi Electric and Sony lost nearly 1%. On Monday, European equities kept diving for a second day because concerns over a trade conflict between the United States and China kept market participants on the edge. Meanwhile, cable manufacturer Nexans slumped following a revenue warning. The STOXX 600 index dived 0.6% after Donald Trump powered trade tensions by proceeding with his tough tariff stance on China’s imports, giving the Chinese government grounds to instantly respond. Germany’s DAX sank by 0.8%, suppressed by concerns that a downtime over migration policy could have Merkel’s three-month-old coalition government destabilized. Other suppressing factors for the German index were represented by software maker SAP, sportswear maker Adidas and industrial group Siemens – all of them declined 1%-1.9%. France’s Nexans went down 18.2%, while its Italian outcome headed south 2.2%. French gas and power group Engie headed south by 2.2% having told unscheduled outages at its Belgian nuclear reactors are going to have an impact of nearly 250 million euros on its net and core revenue this year. In general, deal-making activity powered stock moves. Norwegian Air Shuttle ascended 8.5% after Lufthansa told it was cooperating with the Norwegian carrier as for a probable combination. Norwegian drew attention of British Airways owner IAG. As a result, IAG managed to ascend 1.1%, while Lufthansa equities went down 0.1%. 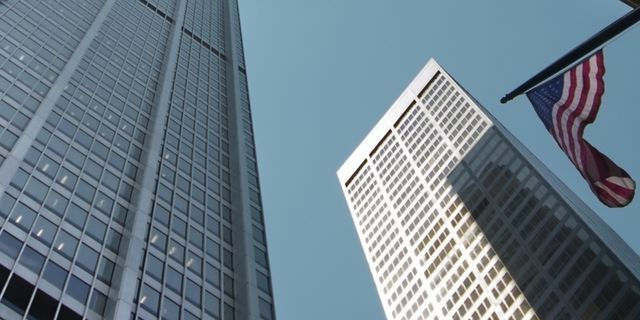 In addition to this, mid-sized financial institution Virgin Money jumped by 2.5% after CYBG approved a 1.7 billion-pound deal to buy its counterpart, thus creating the UK’s sixth-largest financial institution. Meanwhile, CYBG managed to gain 0.1%, Virgin Money pared profits, being nearly intact. Aerospace supplier Cobham tacked on by 5.5% following an upgrade to overweight. The upgrade was carried out by Morgan Stanley. Market analysts point out that the company’s current managers have managed to stabilize performance. All the necessary measures have been taken to ensure operational delivery. European equities found themselves in the red zone. France’s CAC 40 declined by 1.03%, Germany’s DAX lost 1.24%, while London’s FTSE 100 headed south by 0.41%. As for the European Euro Stoxx 50 index, it tumbled by 1.10%, while the Spanish IBEX 35 lost 0.72%. 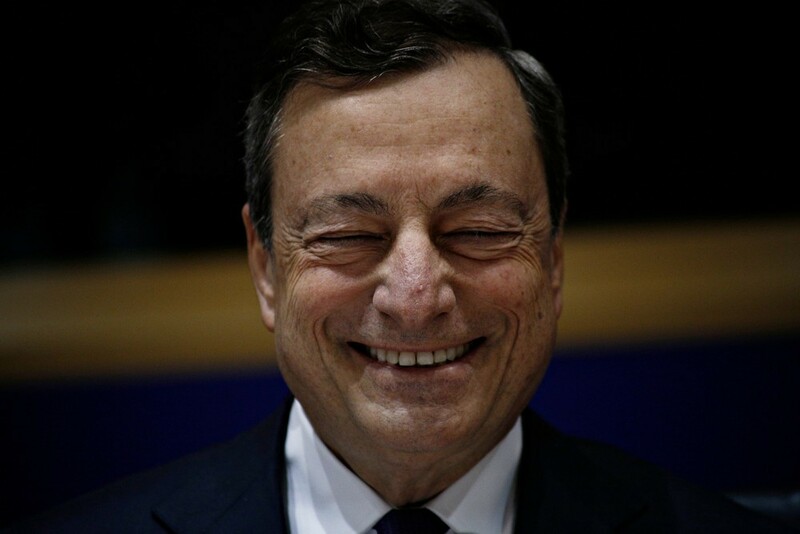 A day will be full of speeches of central banks’ Kings! Mr. Lowe, the Governor of the Reserve Bank of Australia, Mr. Draghi, the President of the European Central Bank, Mr. Kuroda, the Governor of the Bank of Japan, and Mr. Powell, the Chairman of the Federal Reserve will participate in a panel discussion at the European Central Bank Forum on Central Banking, in Portugal (16:30 MT time). Let’s see what new they are ready to present. The Bank of Korea won’t launch its own cryptocurrency yet. 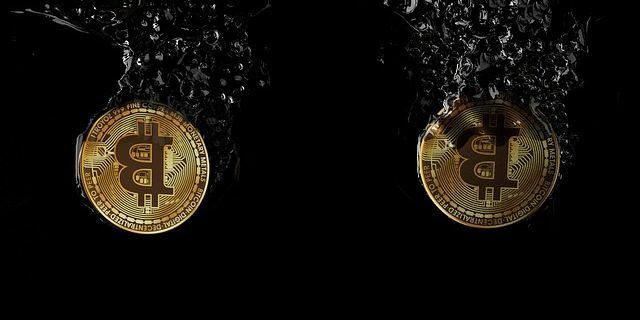 According to the Bank, digital currencies are too risky and an implementation of such assets will cost a lot to the society and even can inflict moral damages. However, the Bank doesn’t refuse that it can launch it later. But it may happen only if the cryptocurrency will be carefully tested. Moreover, German business leaders are also concerned by the fact that a parallel trade feud between Beijing and Washington could harm exporters, traditionally relying on the world’s two leading economies for surge.